We deliver and install fitness equipment to all of Northern Ireland including Donegal, Sligo, Monaghan, Leitrim, Louth and Cavan. 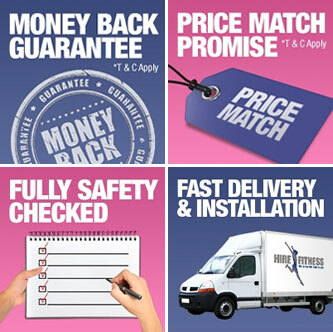 Customer satisfaction is paramount to us here at Hire Fitness Ireland North; we aim to respond to all emails and voicemails within 2 hours to arrange a delivery date and time to suit you. We install the fitness equipment for you in your home or office and we'll demonstrate the kit to you, to help get you started. Our minimum hire period is 4 weeks but you might want to have a look at the 16 week deals as there are some great offers on all items hired for this length of time. If you think you'll get bored after a month or two, we'll swap the equipment for something else to help keep up your motivation and we even offer a 'Try before you buy' scheme. Ask us for full details. Every piece of our fitness equipment is professionally cleaned and serviced before going out on hire again. My background is working in industry, where I have worked in a number of sectors. I felt it was time for a change though and in 2012 I opened Hire Fitness Ireland North. So why did I decide to set up Hire Fitness in the North of Ireland? Well, I've always believed strongly that general fitness should be an important factor in everyones lives as I've always worked hard to find the time to do the sport and exercise that I love. My late father always used to say 'Healthy body, healthy mind' and I've always followed his lead in that respect. However, I'm fully aware that familes of today are often pushed to the limit with the demands of work and home life and trying to get the balance right. I know this only too well as before Hire Fitness, I often had to reluctantly skip an exercise session in favour of a family commitment. However, since starting Hire Fitness Northern Ireland, I've discovered that I wasn't alone and that a great many people just never find the time to go to the gym. Which is why I'm delighted to say that we'll bring the gym to you. 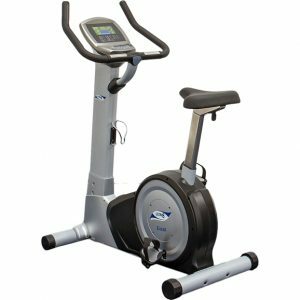 We have a wide range of top quality cardio and strength equipment for hire and we'll even offer you discounts to buy your fitness equipment at the end of your rental period should you wish. As well as our domestic and office range of gym equipment for hire, we also have a fully commercial range of deluxe high end fitness equipment for use in leisure centres, gyms, hotels, schools and so on. Give us a call to find out more. Hire Fitness is a well established company and is the largest Fitness Equipment Hire company in Europe, covering all of the UK including Ireland. We have been providing customers with state of the art fitness equipment now for more than 14 years and we're proud to have an exemplary customer service record. The latest addition to our health and fitness range is Cavisculpt which uses the very latest technology to remove stubborn fatty areas of the body quickly and painlessly. It's perfect for those areas that exercise never seems to shift. For more information or to book a demonstration, give us a call or drop us a line. 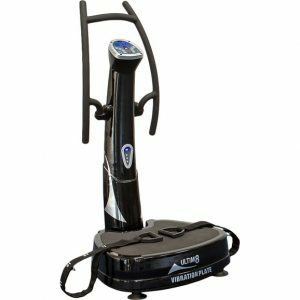 Hire our Deluxe Home Vibration Plate for 16 weeks and get an additional 4 weeks hire for free. NOW ENDED. Orders must be phoned through to the Northern Ireland office quoting discount code: VIB14. Offer does not apply to online orders. Hire our Super Deluxe Home Treadmill for 16 weeks and get this Deluxe Home Exercise Bike hire for half price. NOW ENDED. Orders must be phoned through to the Northern Ireland office quoting discount code: CHAM14.